It may sounds unlikely to some people, but the Spice Girls helped me get through the tough times in my life. 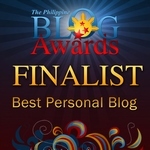 That time, I had some personal problems (taray! personal problems eh nasa elementary pa LOL) and aside from school, I would divert my attention to my Spice Girls addiction. Thanks to my cousin who is also a Spice Girls fanatic, she would share some of her Spice Girls magazines (official and unofficial) for me to read. She would give me some posters too. In school, I would save twenty pesos every week just for me to buy that Spice Girls Chupa Chups Lollipop. I collected the stickers and covers. I would also ask my mom to buy me some song magazines and cut their pictures to make a collage. I have my own Spice Girls memorabilia which will sadly be destroyed by the Â Bagyong Milenyo (or is that Gading? 0_0). I cried that time not because of the effect of the storm to my town, but because my Spice Girls memorabilias were washed out. Huhu. Sometime in June 1999, Geri Halliwell went to the Manila. It is her first public appearance after leaving the Spice Girls. I asked my grandfather if he can take me with him to Manila that weekend, but he said I need to stay at home and study 0_0 Â Geri Halliwell went here as the spokesperson of UN and promote the use of contraceptives. As usual, some were against her purpose of visit. I cannot find a photo of her visit online, but I had it in my memorabilia. I was a bit angry at her when I saw her interview on TV, but I am more happy because the Girl Power vibe is still with her. She’s back minus the red hair and the skimpy outfit. I love Geri still! After a few months, she released the music video ‘LOOK AT ME‘ and one of the most controversial scene there is the ‘burial’ of Ginger Spice. She truly knows how to make herself the talk of the town, huh? I asked my parents if they can buy the cassette tape of SCHIZOPHONIC as a Christmas gift. They said yes, but I need to do good at school first. I’m glad that my hard work paid off and got my reward. But Â a month prior to receiving that gift, I was rushed to the hospital for an operation. 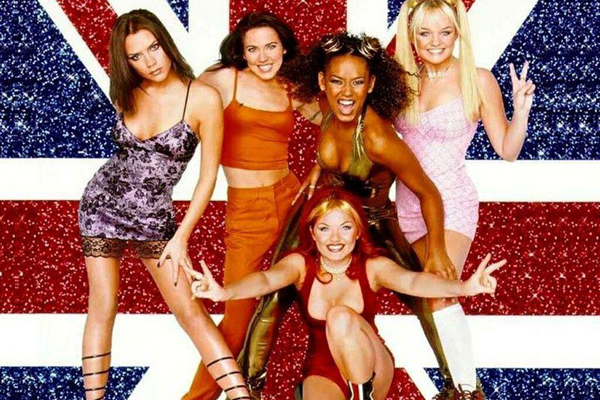 The music video for the song ‘Lift Me Up‘ was released on MTV and the Spice Girls were scheduled to perform their new single ‘HOLLER‘ through the MTV Europe Music Awards. Later on, the rest of the Spice Girls released their solo works and I collected them. Anyway, I super love this Geri Halliwell post. I mean, yes, this was my generation too. Heartbreaking and those are the things you don’t understand at that age, why people leave a group they became famous with. I was ecstatic that they were back (sans the overthetop costumes) for the London Olympics. Hope to read more of your posts.